Yogurt deserves superstar status for its bone-strengthening calcium and high quality protein. If it comes packaged with “active cultures,” add disease-fighter to that list since “good” bacteria (probiotics) help keep the stomach and immune system healthy. One little hitch: to reap the health benefits of yogurt, stick with plain varieties including the newly popular plain Greek yogurts. Yogurts packaged with added sugars (fruit and flavored ones) are little more than dessert in disguise. Nectarines or peaches would be just as delicious as plums. You may need to adjust the roasting time by a few minutes, but otherwise the method is the same. Whichever fruit you choose, it can be made ahead and stored in the refrigerator for up to three days. With just three ingredients -- honey, plain yogurt, and fresh raspberries -- you can make a scrumptious spread for bagels, crackers, or tea sandwiches. Dieting? Switch out the full fat plain yogurt for fat-free plain, or zero fat Greek yogurt, for a skinnier spread. 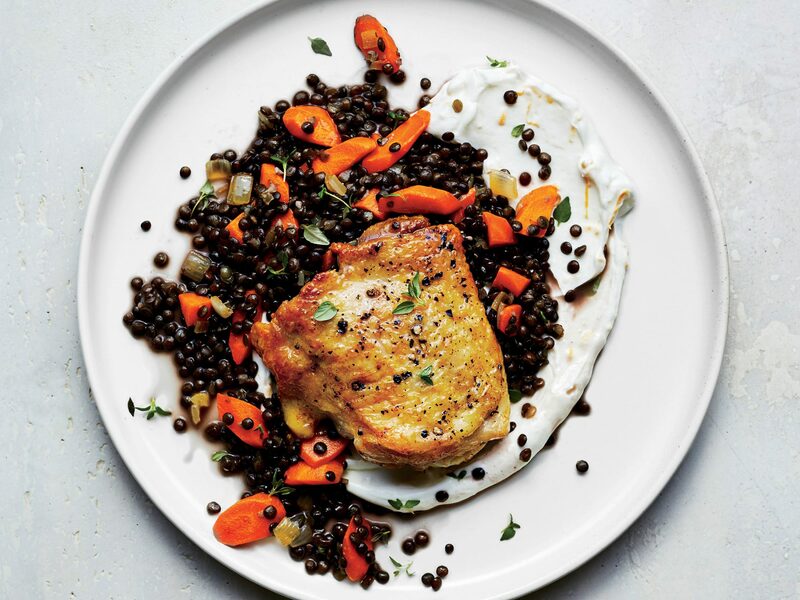 One of our most popular weeknight suppers, Moroccan spice-rubbed skinless chicken thighs are topped here with an easy yogurt sauce made with minced garlic and chopped cilantro. The sauce is also great with roasted lamb or drizzled over steak tacos. Rich creamy soups are typically high in fat and calories, but this one proves the tasty exception. Low-fat plain yogurt adds the creaminess while a mix of garlic, cumin, cucumber, avocado, and fresh herbs makes it flavorful. While pears roasted with honey are delicious, you have to love the three ingredient cream sauce served on the side. Made with honey, vanilla, and drained plain low fat yogurt, it’s a perfect light sauce for all kinds of desserts. The colorful combination of carrots and celery is fun, but what makes this salad so special is its light creamy dressing. Made with low-fat plain yogurt, Dijon mustard, and olive oil, it’s a refreshing alternative to fat-laden mayonnaise. These honey and walnut parfaits are a great energizing snack or even an invigorating dessert. 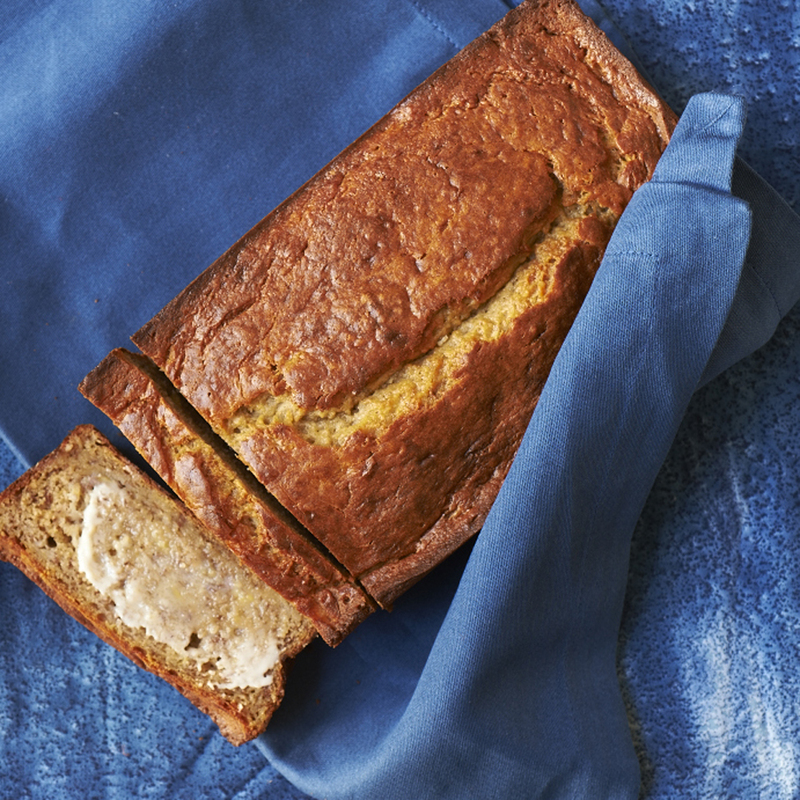 Low-cal Greek yogurt helps keep this luscious tea bread moist without all the fat of traditional baked goods. Walnuts, zucchini, and sweet spices create a hauntingly good flavor combination that makes it hard to believe this quick bread is light. Creamy spinach takes a trip to the Mediterranean with the addition of bold-flavored seasonings including red chili, garlic, coriander, and turmeric. Yogurt tames the spices to make it a great last-minute side dish for roasted meats. Plain yogurt enhanced with cumin and turmeric makes a great marinade for grilled chicken breast. And then it does double duty as a dressing for a light and easy cucumber salad to serve on the side. 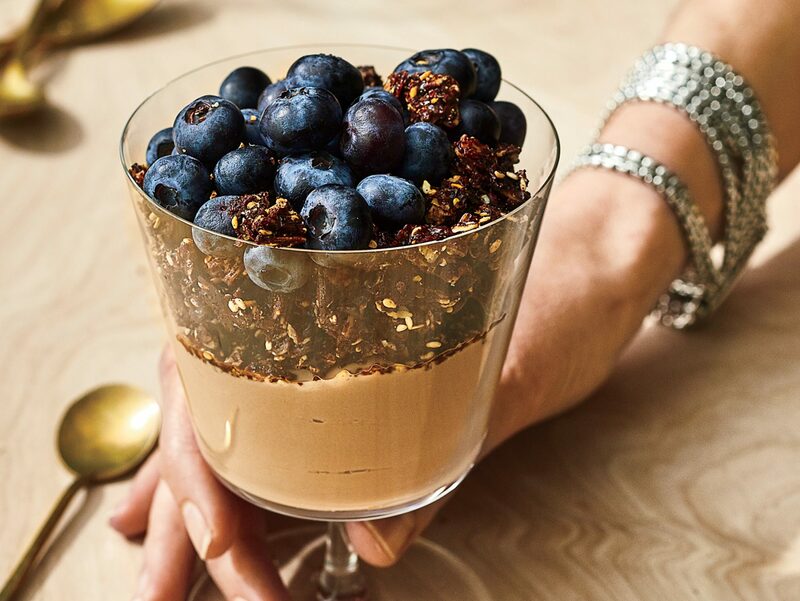 Almost too simple to be a recipe, this lightning fast dessert flavors zero fat Greek yogurt with cocoa and honey to make a creamy mousse that’s crowned with fresh raspberries. Added bonus: Greek yogurt has double the appetite-quenching protein of regular yogurt.